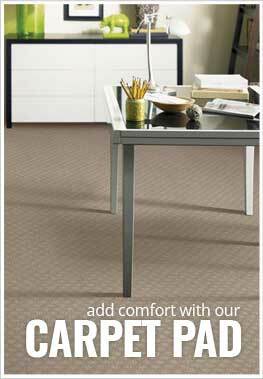 Description - Shaw's Creating Possibilities broadloom carpeting is in the Life Happens series, boasting a variety of wonderful benefits you are sure to love. Life Happens carpets are worry proof, waterproof, and easy to clean and maintain. Creating Possibilities features an attractive birdseye type dotted pattern that is sure to add a luxurious touch to any space. Face Weight - 35.1 oz./sq.yd. Recommended Uses - Creating Possibilities broadloom carpet is recommended for use throughout the home, in spaces such as basements, bedrooms, hallways, dining rooms, closets, game rooms, and more.